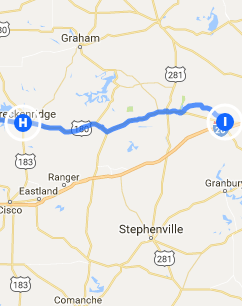 Trip Log – Day 351 – Breckenridge TX to Weatherford TX | How Will We Live Tomorrow? The wind took a vacation day, and so I got one as well. Rare in this part of the world to have no wind, but incredibly easy to ride when the sky is calm. Texas has perhaps the least bike-friendly drivers in our country. Riding in any city, from Port Arthur to El Paso to Muleshoe, is precarious as Texas streets paved concrete with integral curbs. There’s no place for me to be except in the traffic lane, which annoys the pickups. Fortunately, the highways are another story. 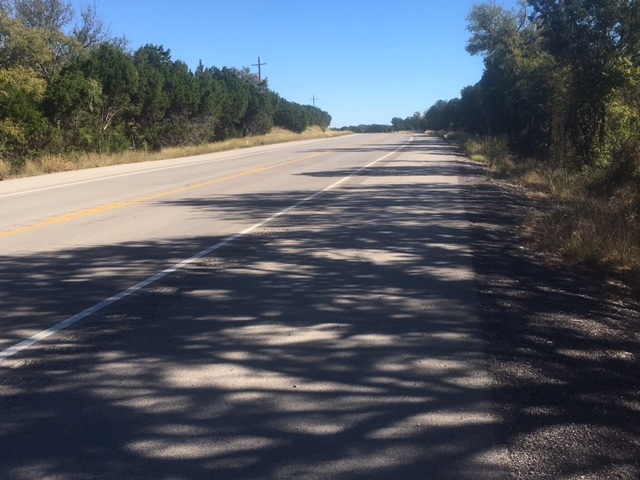 Texas has wonderful highways, with wide shoulders and rumble strips. There’s plenty of space. Everyone gets along because we don’t have to interact. Robert Frost wrote that good fences make good neighbors. In Texas, distance makes good neighbors. Mineral Wells is a peculiar place. 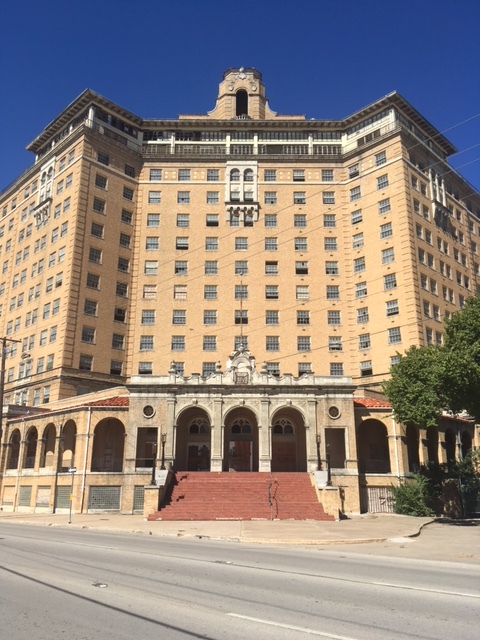 The massive abandoned hotel from its early 20th century days of healing waters hovers over the near deserted downtown like a mirage from The Shining. East of town I came upon the National Vietnam War Museum, which is seriously less official than it sounds. Not a soul at the place, no staff, nothing. 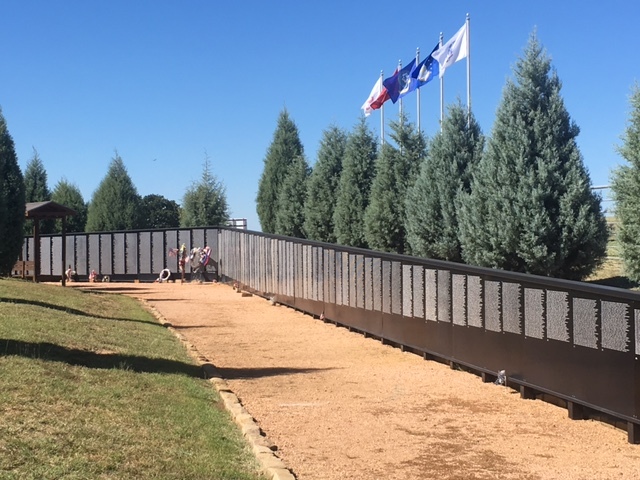 There’s a plywood replica of the Vietnam Memorial in DC, a stucco replica of a Vietnam camp’s honor wall, a helicopter with propellers fabricated in Mineral Wells, and well tended gardens. The big picture eluded me. 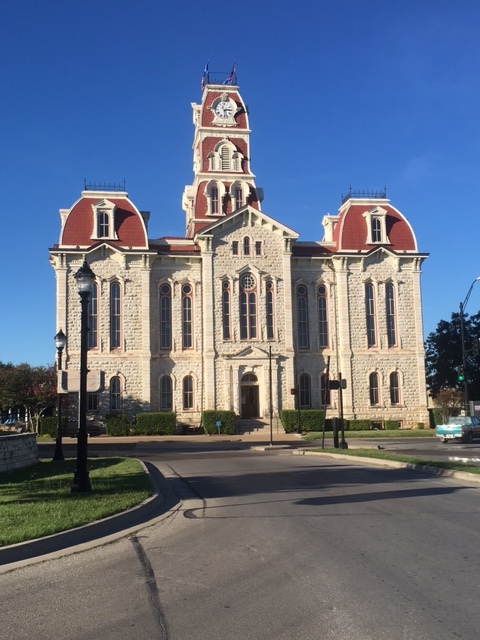 Weatherford may possess the most attractive courthouse in a state whose 248 counties include many contenders. It sits on the axis of the city’s main streets and commands attention from all directions. 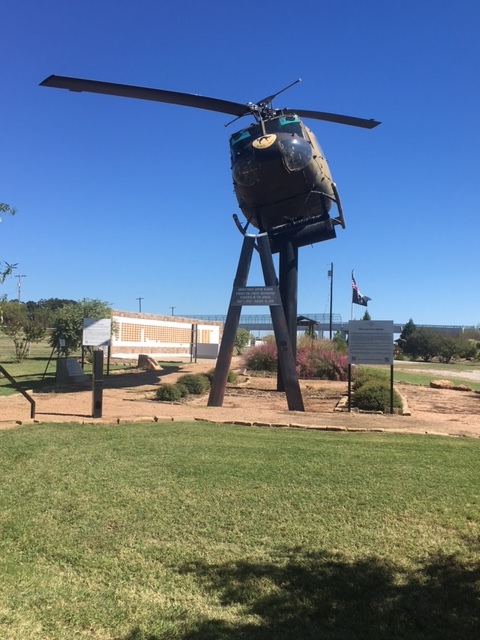 This entry was posted in Bicycle Trip Log and tagged Bicycle Touring, Mineral Wells TX, National Vietnam War Museum, Texas Highways, Weatherford TX. Bookmark the permalink.